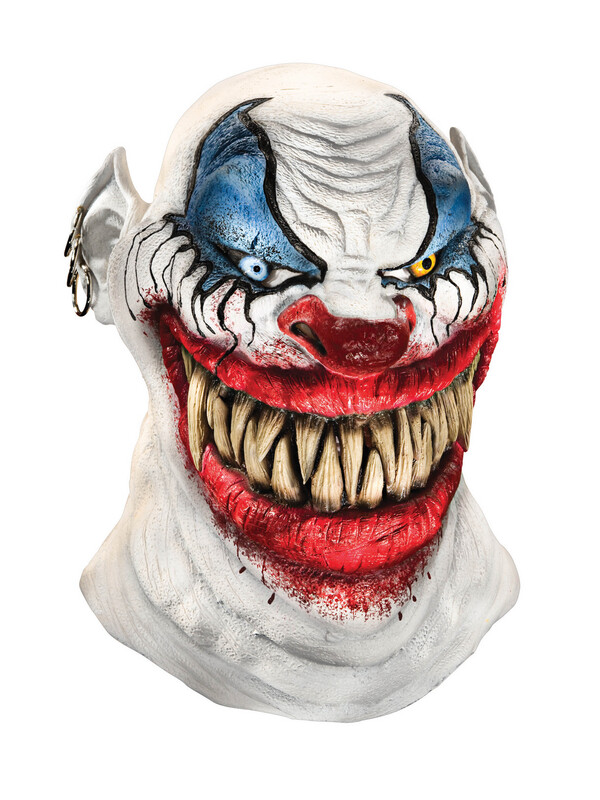 Take a bite out of Halloween with this unsettling Latex Mask - Chopper The Clown - Adult Costume Accessory. Huge, sharp teeth and messy red lipstick are front and center on this horrifying mask. Blue eyeshadow and running black mascara complete the look. Shop for adult horror costumes and accessories online today.